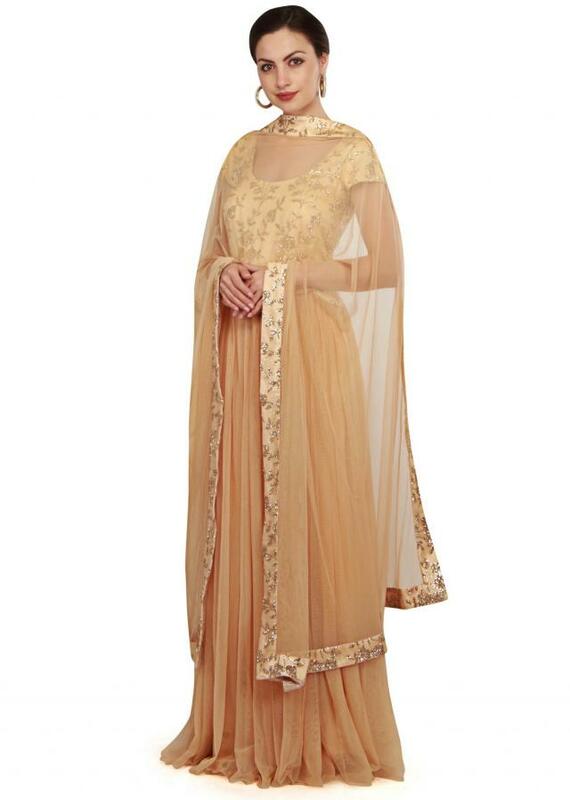 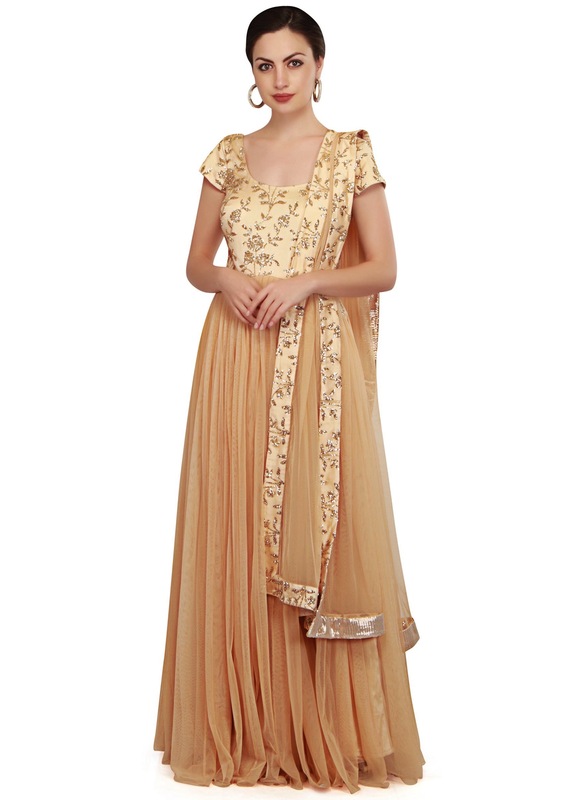 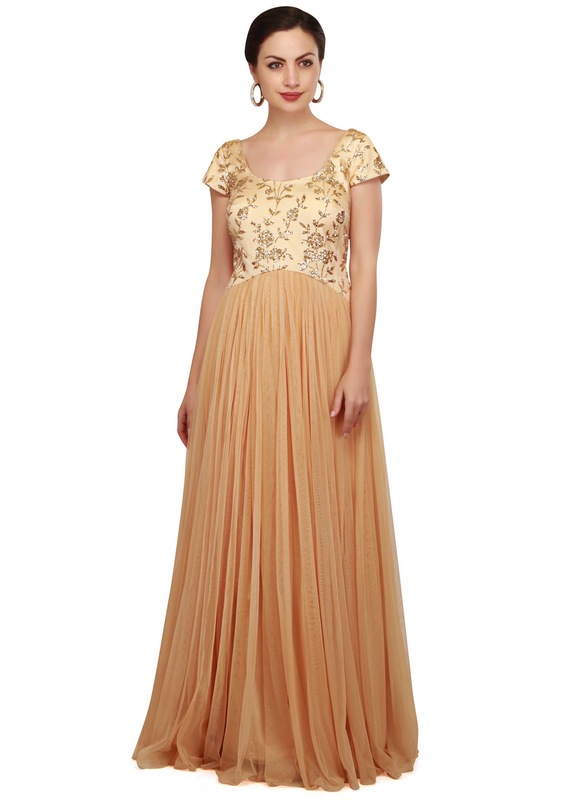 Beige anarkali suit featuring in pleated net. 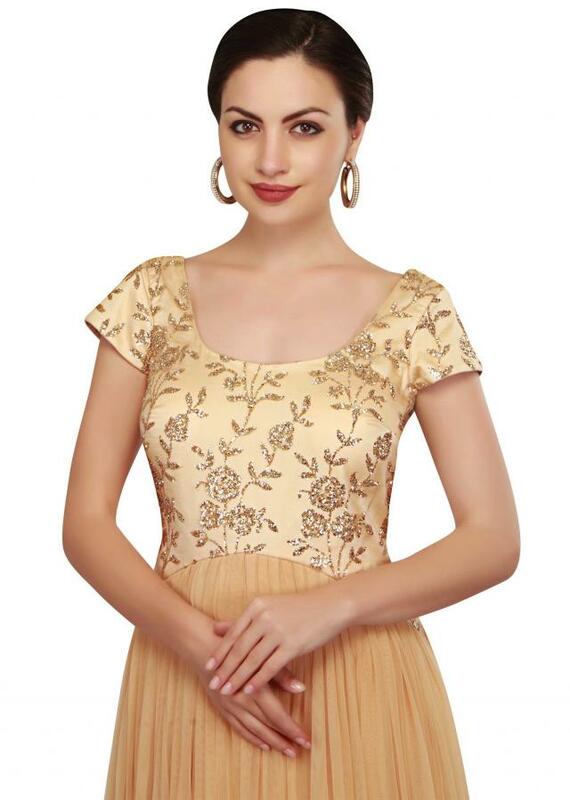 Bodice is embellished in sequin net. Matched with lycra churidar and net dupatta with sequin border.